Over the weekend I took my kids to an annual local fairy festival. My girls went dressed as beautiful fairies, and to add to their outfits I made them each a pretty flower crown to wear. 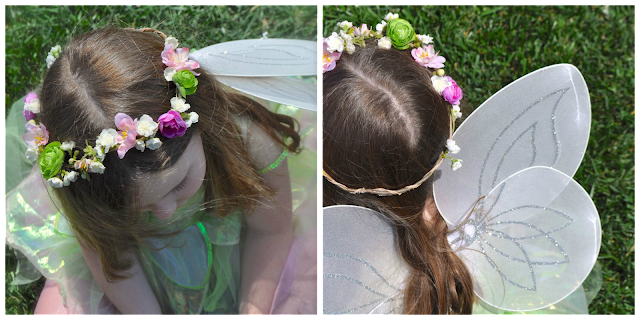 These flower crowns were so easy to make, but really added to their overall fairy look. You could wear these with a costume, or even for a fun, spring or summer bohemian look, and can be made in any size and colors you want. My youngest daughter loved hers, and when we tried it on her for the first time, she said, “Mom, are these what hippies wear?” So perceptive for a four-year-old. 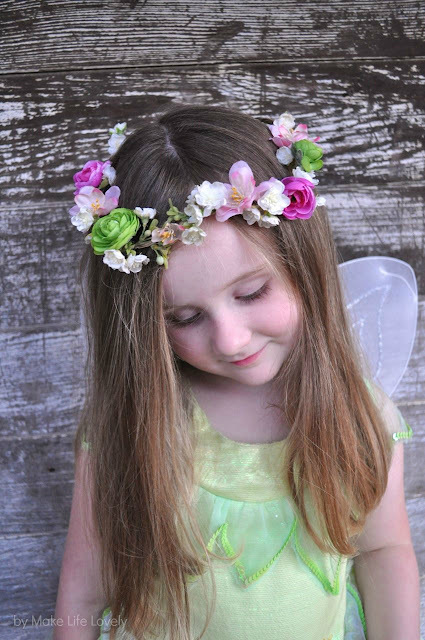 Here’s the easy tutorial for making your own DIY flower crown or wreath… your little fairy princess will love you forever if you make her one! The better quality flowers that you use, the better your flower wreath will look. 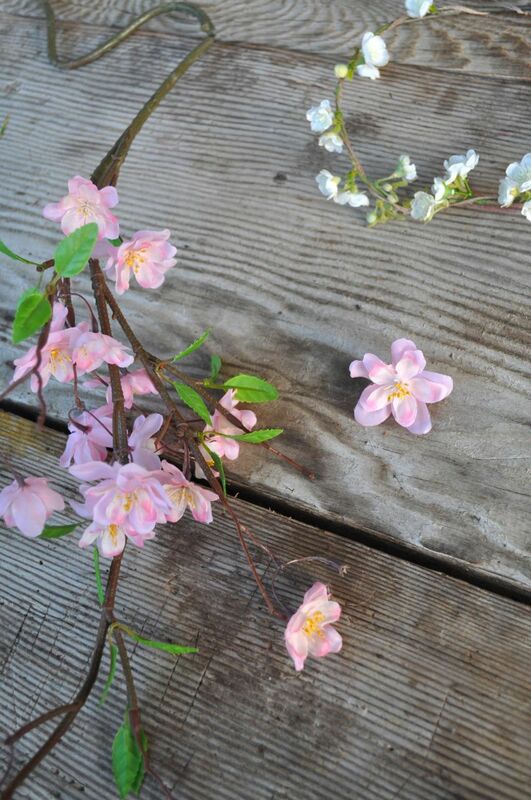 I recommend getting at least one type of flowers that are small and have multiple flowers on a medium to long length strand (see the second photo under directions), because you will be using this to wrap inside the twine as a base for your crown. Step 1: Wrap a piece of twine around your head (or the person who you’re making the crown for) where you would like the crown to go, and add an extra two inches to that (you’ll see why later). Tie a tight knot in the twine, wrap the twine around a second time, and tie a knot again in the same place. This will be the base for your crown. 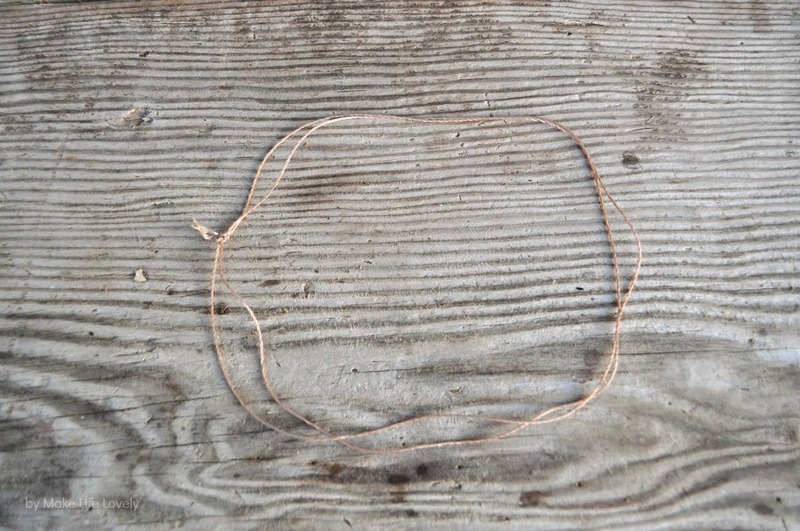 I like to use twine over wire because the twine is much more comfortable than wearing wire, looks more natural, and much easier to use! 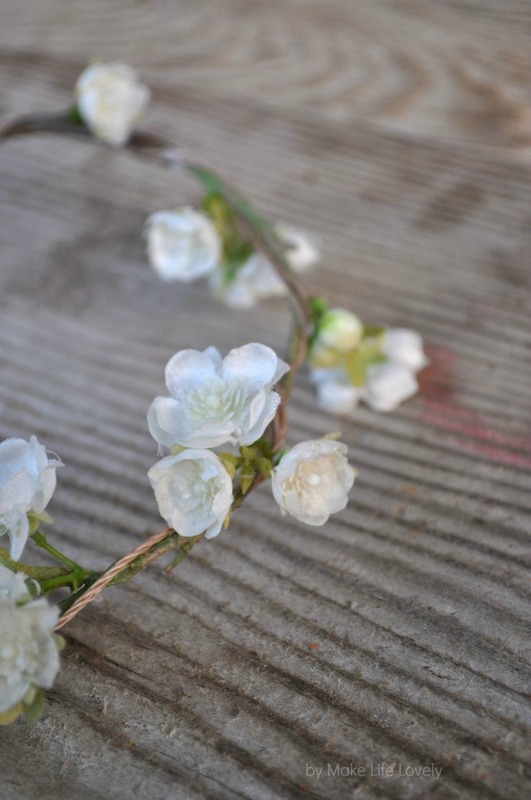 Step 2: Wrap the twine crown in around the strand of small flowers multipe times. I used two strands for my crowns, and left the very back plain. You could fill yours in if you like. By wrapping the twine around the flower stem you are creating the base for the crown, and the first layer to which we will add on the other flowers. 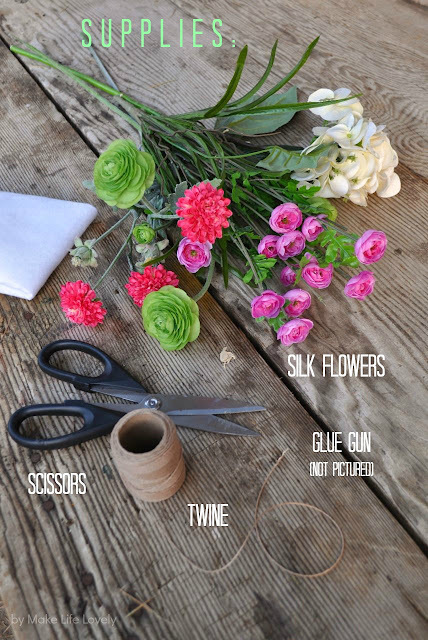 Use your glue gun to glue the twine to the stem in just a few places. Step 3: Cut a flower from your other flower stems that you would like to use. Leave about an inch of the stem on the flower. 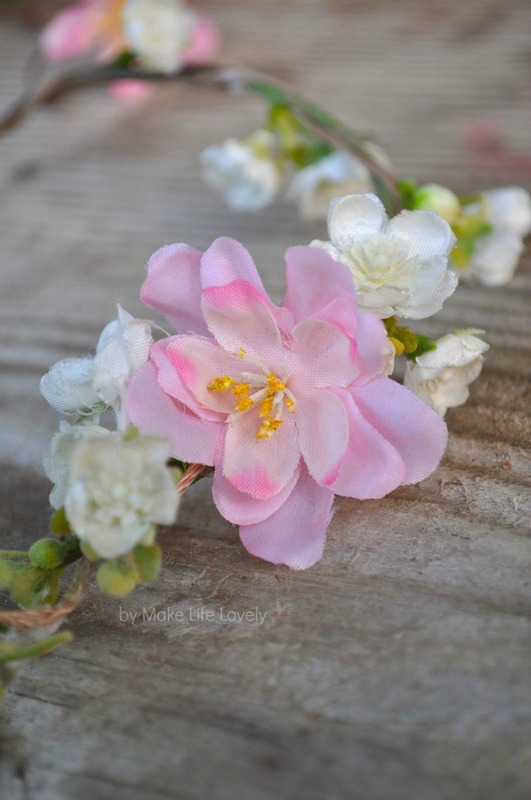 Weave the stem of the flower into the twine of the crown, and use a small amount of glue to glue in place. 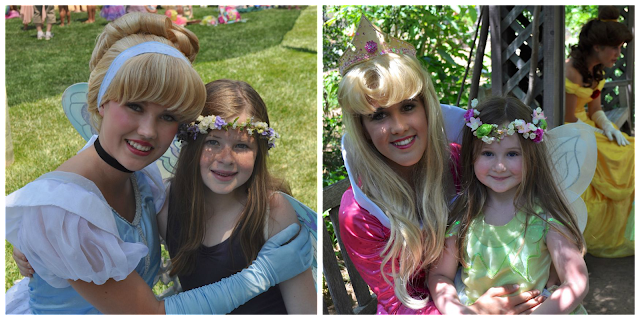 Repeat with multiple colors and sizes of flowers until the crown looks the way you like. You can add as many or as few flowers as you want! 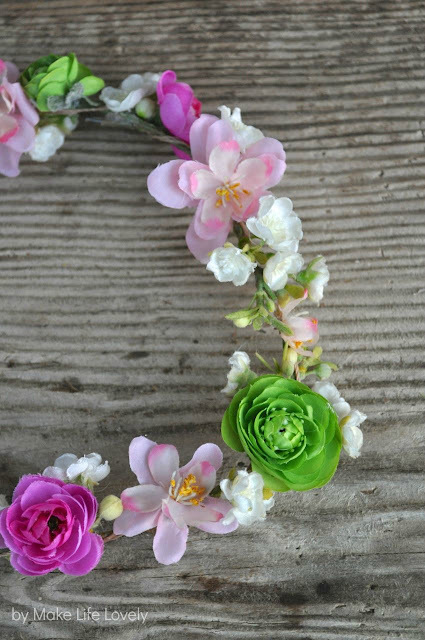 This flower crown only takes a few minutes to make, and the finished product is so pretty! The best part is putting it on your daughter (or yourself, or your niece, granddaughter, etc.). 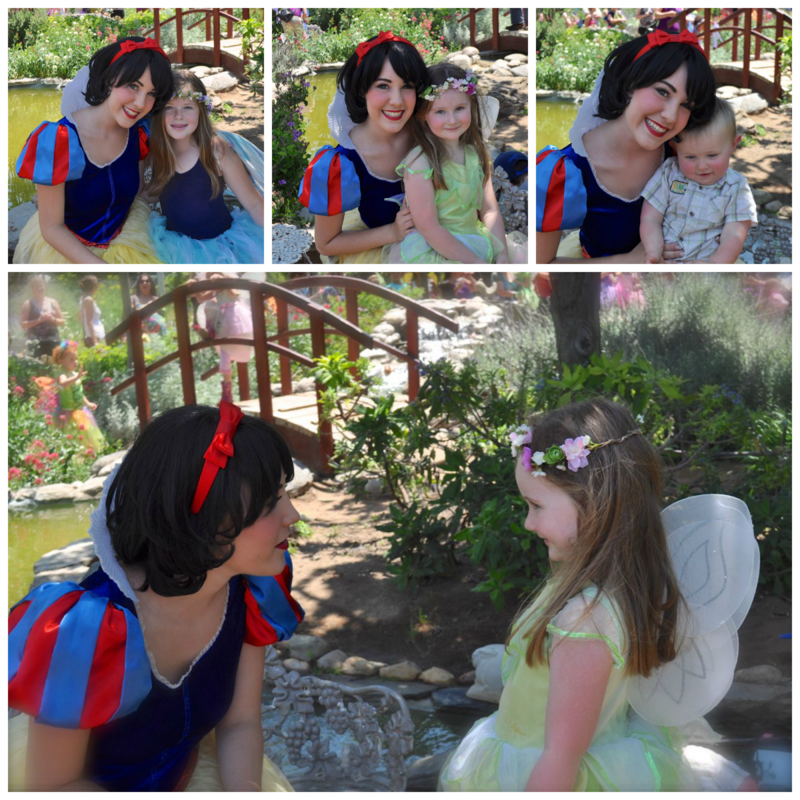 I loved seeing my daughters’ reactions at seeing their reflections in the mirror! They felt so pretty, and looked like little angels. 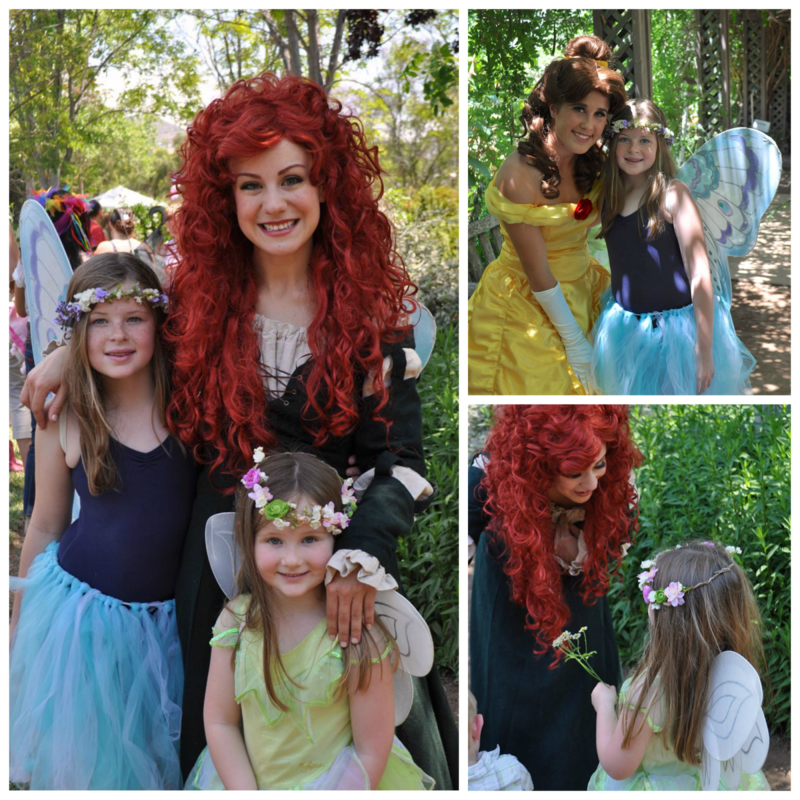 Seriously, look at these pictures! Here are a few from the Fairy Festival… many of the Disney princesses were there, too, which was a fun surprise! 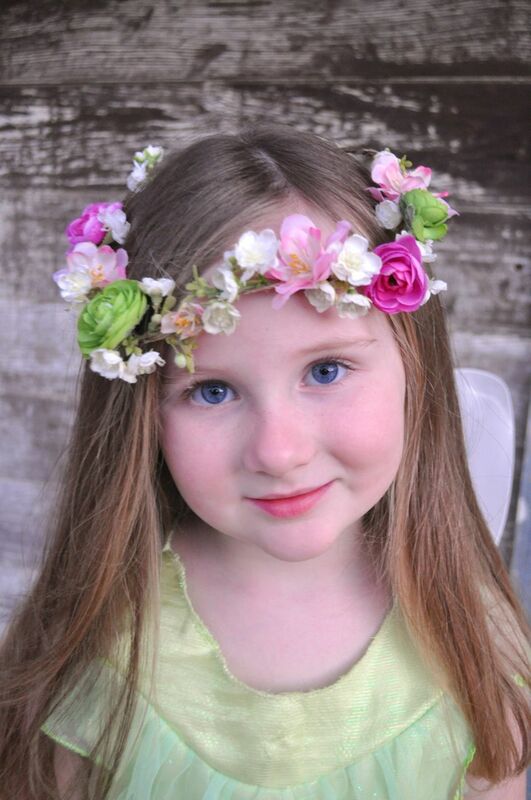 I hope you give these pretty flower crowns a try! If you liked this project, please follow me on Facebook, Twitter, Pinterest, Bloglovin’, and Instagram. lovely! the crown and the little princess. will try to make one for my daughter. 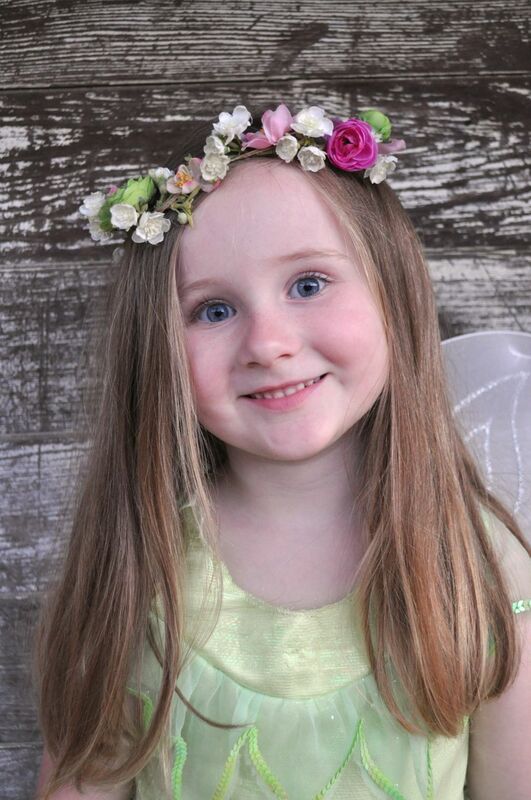 she’s been bugging me to buy a flower crown every time we go to a mall. Yes, give it try! These are much cuter than the store bought version, and then you can customize the flower colors and sizes. Have fun! 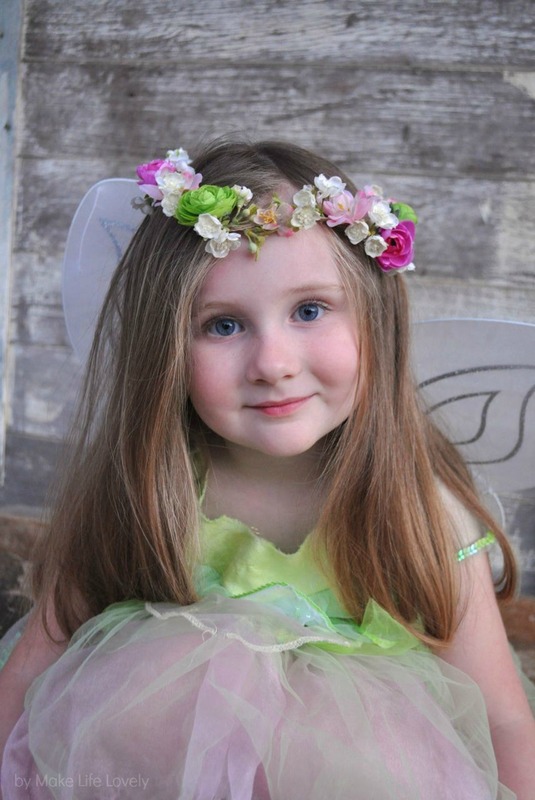 Your little fairy is adorable! I think my granddaughters would like these. I guess they have a little bit of a similair look, but I think my girl is a little cuter 😉 I’m biased though! This crown is perfect to wear to music festivals. Have fun!! What a nice aunt! I’m sure your nieces will love them. Thanks for stopping by! Your kids are so lovely even without their crowns! Great work! hopping from Craft-o-maniac link up! Thank you, they are pretty cute, aren’t they? Thanks for stopping by, come back soon! Great! Thanks for posting this. 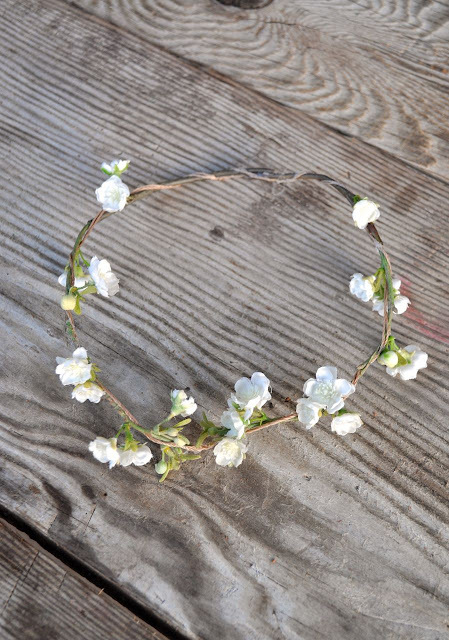 I can now make Harry Styles a flower crown. thanks for the tutorial! 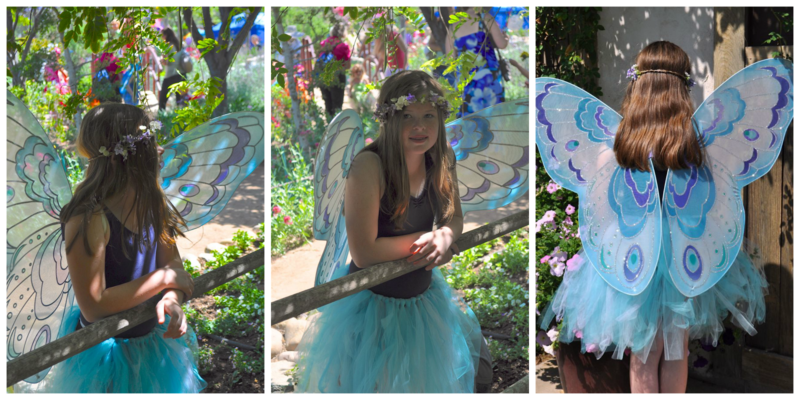 Can’t wait to go fairy shopping. 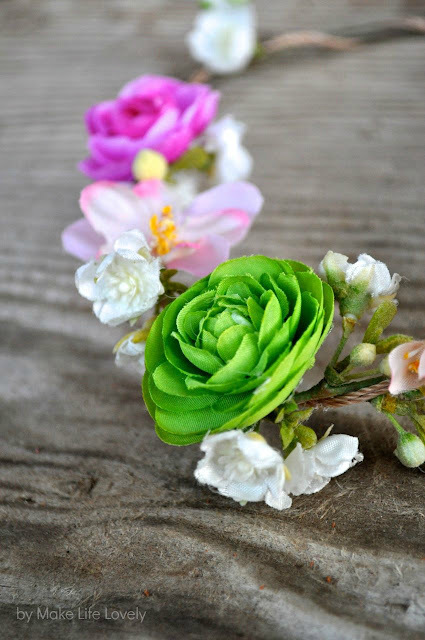 I am making these for flower girls of crepe paper. I need 5 and I do not have the head measurements of the little girls, because we are not sure which ones will actually consent to do it. Can you give me a ball park for how large to make them for 5 to 8 year olds? Can they be adjustable? Thanks! I can’t seem to get approximate head circumferences for girls those ages.